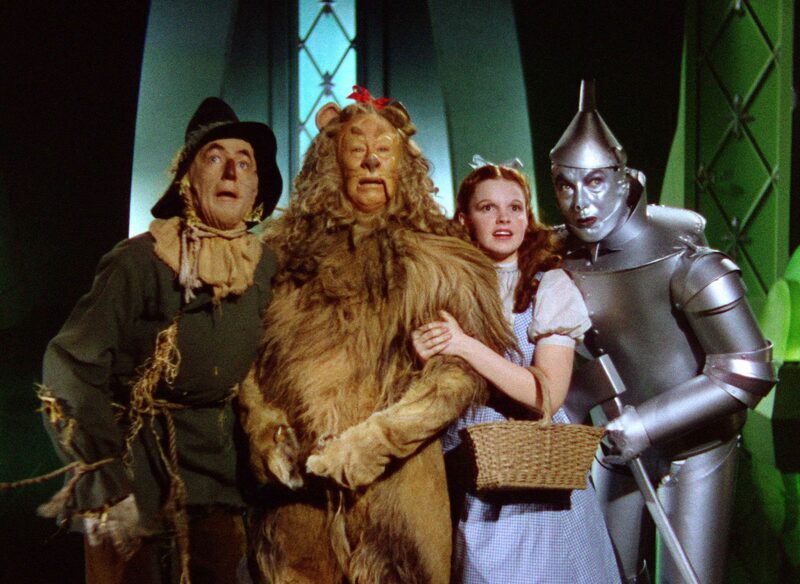 Who doesn’t love the Wizard of Oz? It’s a classic. Girl gets transported to a magical land, makes new friends, goes on an epic journey and gets some killer new shoes. Along the way, she learns to face her fears, her disappointments, and her assumptions, both of herself and those around her. What’s not to like? Okay…full disclosure, I’m from Kansas so I have a love/hate relationship with this movie. It’s a joke at my house…we cringe, literally, cringe when we see Dorothy and the gang. However, recently, after watching it for the umpteenth time I realized that there were five things that could be applied to a job search…so I thought I’d share. Figure out what’s holding you back and fix it. What’s stopping you from finding your dream job? Is it a lack of motivation, confidence, education, fear of the unknown, or just not knowing what you want to be when you grow up? Now’s the time to identify what’s holding you back. Here are some suggestions that may help. Take some time to identify what your goals are. Where do you want to be in 5, 10, or 15 years? Write down all the reasons you’re looking for a job. Not just the obvious ones like; I need the money, ya idiot. These are your motivators. Identify what you don’t want. Can’t handle a micro-managing boss? Hate customer service? Figuring out what you don’t want in a job helps you avoid pitfalls in the future. Look at what you are missing. Have you ever looked at a job posting and thought…I’d love to do that but…? Well, “but” what? What’s stopping you? Don’t Know What You Want to Be or Do? Take some assessments, research people you follow online or look up too, do some informational interviews or volunteer. CareerOneStop.org is a great resource for all things job seeker related, especially assessments. Check out your local community college or look for online classes. Do a Google or Youtube search online, there are tons of tutorials available. Another resource to check would be your local Workforce or Job Center, depending on funding availability they may have training funds to help you go back to school. Dorothy had her posse, now you need one too. Participate in networking events, join a job club, or visit your local Workforce Center. Be sure to notify your immediate network that you are looking for work. You never know who will be key in helping you find your next opportunity. Everyone you meet is part of your network, but don’t worry you don’t have to become one of those creepy stalky people, you know the ones (Hi! My name is Joe, nice to meet you. I know we’ve just met but here’s my resume, please recommend me to everyone you know…<cringe>), just talk to people. I know someone who found a great job while standing in line at the dry cleaners. While waiting in line they had struck up a conversation with the person in front of them, during the convo it came up that my friend was looking for work as an aviation engineer. Surprise! The other person was married to someone in HR at a local aircraft company and would be glad to pass on my friends’ resume. Emails were exchanged, resumes were sent and dry cleaning was eventually picked up. A week later my friend got a call from the “spouse” about a fantastic job and asked to apply. My friend got that job and is still happily employed. All because they struck up a conversation while standing in line. Social media – Social media can be a wonderful tool to use when looking for a job, however, it can become a procrastinators paradise. It’s built to distract you, to entertain, don’t fall for it. Schedule your job search activities and be ruthless about how much time you are dedicating to social media during that time. Obsessive Resume Tweaker – This one will sneak up on you, so be careful. You know you have this monkey on your back when it takes you hours to create a resume. Now, there is nothing wrong with spending some time creating a well focused, tailored resume, but when you’re obsessively changing it over and over again, there’s a problem. Take a deep breathe, reviewing it “ONE” more time and then send it. Really, let it go. Tailor your resume – Current estimates say that hiring managers spend less than 6 – 10 seconds reviewing a resume. That’s fast, really fast. So you need to catch their attention. One way to do this to make sure your resume tells them that you fit all their requirement quickly. A Summary of Qualification section at the top of your resume is a great place to showcase how well you fit their needs. Follow All Instructions – Seriously, if they ask for a cover letter, give them a cover letter. They want work examples, provide a link or a .pdf to your portfolio. There’s a reason they’re asking for this stuff. Nuff’ said. Following Up – If you’re lucky enough to get an interview, be sure to send a follow-up email or card no later than 24 hours after to thank them for their time. If you’re not a fan of email, you might consider keeping a bunch of thank you cards in your portfolio or in your car. You can jot down a quick note right after your interview and give it to the receptionist or front office staff. I suggest waiting at least 2 weeks before attempting another contact. Be respectful – These people are just as busy, if not more so; than you are. Respect their time. Don’t constantly email or call them, don’t get angry and certainly don’t take out your frustration on them. Give them a reasonable amount of time to respond and if you don’t hear back from them; move on. In my job coach days, I used to tell my clients that “Looking for a job is a full-time job”. Thank you, Captain Obvious…it’s a wonder they didn’t slap me. Now that I’m looking for my own job I completely understand that you get what you put into it. It can be hard frustrating work, but with preparation and planning, it doesn’t have to be. Thanks, Glenda, now…where can I get a pair of those shoes?